324 pages | 12 B/W Illus. This book explores the relationship between bureaucrats and elected politicians in Bangladesh and discusses how this impacts governance and development in the country from an empirical perspective. It looks at the interplay of politics and bureaucracy in ancient societies, western democracies and in the developing world while highlighting the uniqueness of the Bangladesh experience and its indigenous contexts of local governance. 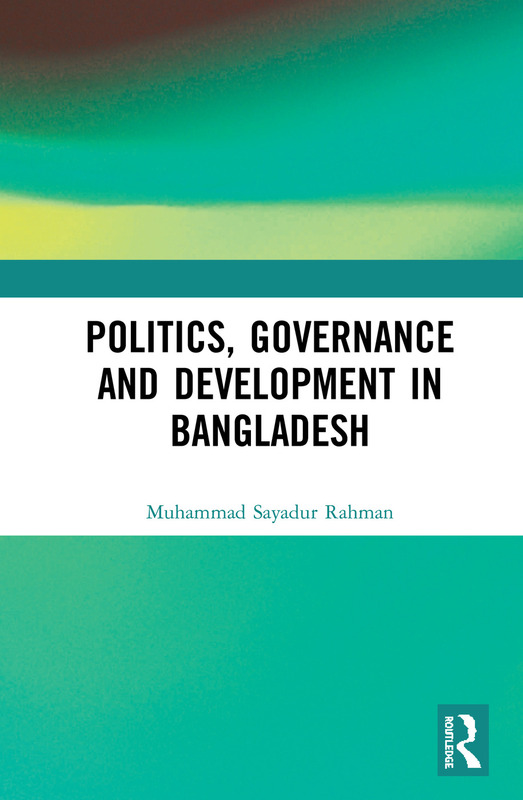 The author presents a historical overview of the nature of political development, shift of regimes in Bangladesh, and the role of various agents and stakeholders. Through a detailed study, the book provides an analytical and theoretical framework to understanding the linkages between politics and bureaucracy, governance and development in South Asia and Bangladesh, with implications for geopolitics and economic growth. This book will be of interest to scholars, researchers and students of political economy, development studies, public administration, comparative politics as well as to policymakers, bureaucrats, government bodies, and especially those concerned with Bangladesh. Chapter 7 Politics and Bureaucracy in Local Governance: Who Dominates? Muhammad Sayadur Rahman is Associate Professor, Department of Public Administration at Jahangirnagar University, Savar, Dhaka, Bangladesh. He completed his PhD at the South Asia Institute, Heidelberg University, Germany. Over twelve years of academic and research work, he has written several books, book chapters and research articles in journals including Administrative Studies, Public Organization Review, Dynamics of Public Administration, Asian Journal of Political Science and Commonwealth Journal of Local Governance. His research interests include politics–bureaucracy relations, local governance, development policy, and public health.